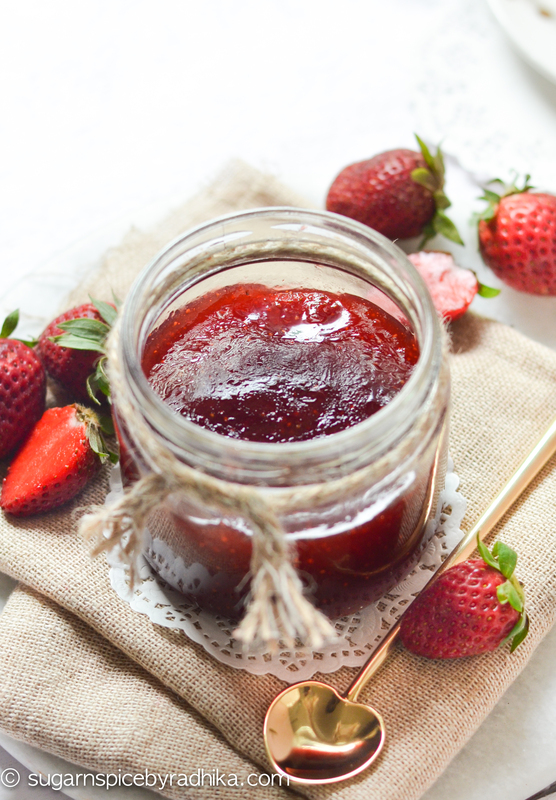 Make the easiest strawberry jam ever without preservatives or pectin with my simple recipe. All you need is three ingredients and 10 minutes. I’ve been taking full advantage of the seasonal strawberries and now that winters have almost come to an end I thought of preserving this love fruit to be enjoyed later on. Like a gazillion other people, I too was extremely reluctant to make jams because of the perceived fear of it being a “complex” process. This recipe proves all your fears wrong because its literally as easy as boiling water. 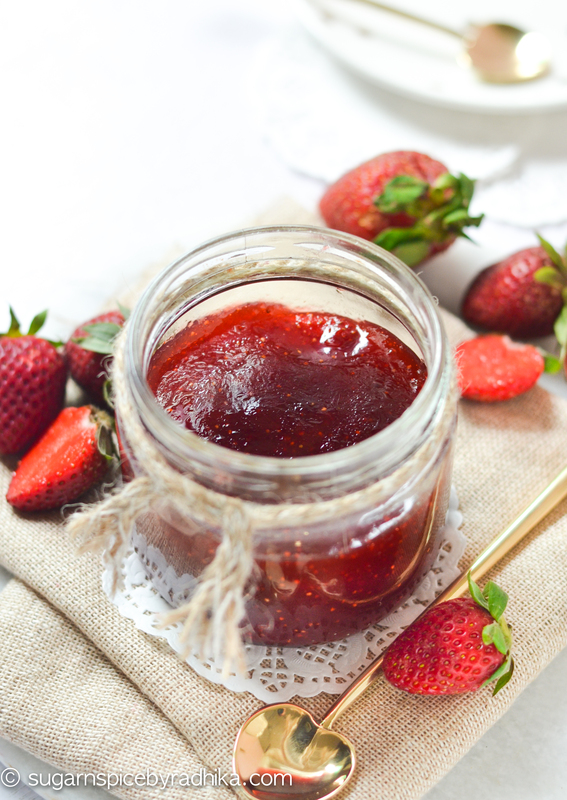 I found this strawberry jam recipe last year and this was actually what helped me gain confidence in jam making. Quite honestly, after tasting this jam you will actually understand what you’ve been missing in your life. That lifeless commercially produced jam that you’ve been eating for centuries will suddenly feel like dirt to you. I’m dead sure you’ll agree with me once you eat this. 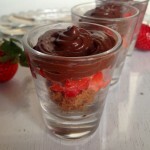 My aim has always been to find the easiest recipes and get them to you and this is one of my best. This recipe requires 3 ingredients: Strawberries, sugar and lemon juice. 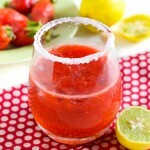 All you really need to do is puree strawberries, add in the sugar, lemon juice and boil the mixture for 10 minutes. Nothing complex about that, is there?! Normally while making jams, you’re required to add pectin but not in this one. Pectin is what makes jam, jam-like. It the substance that is required to help set the jam and make it jelly-like. The sugar is quite enough to make it set. The jam isn’t as hard though, its more like a strawberry spread but you can increase the amount of sugar or alternatively add in pureed and cooked apple to it as apples are natural sources of pectin. I would suggest about 1/4 cup of cooked and pureed apple. To learn about cooking and pureeing apple refer to my apple and cinnamon jam. 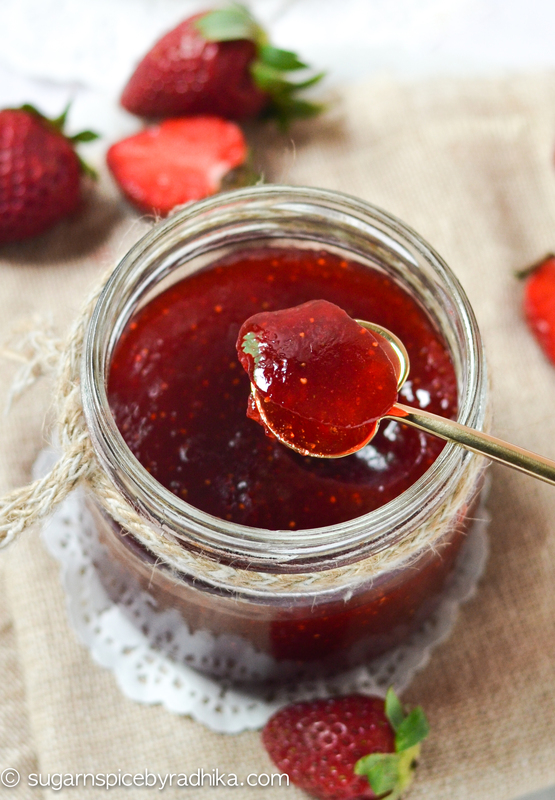 How to Make Strawberry Jam with Only 3 Ingredients? Sterilize a glass jam jar. Learn all about sterilizing jars here. DO NOT SKIP THIS STEP. Clean and hull (get rid of the green leafy part) the strawberries. Puree all the strawberries, except a few. Save 3-4 whole strawberries (hulled). That way you'll have a few whole strawberries in the final jam. 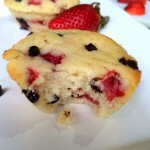 In a heavy bottomed pan, add in the pureed strawberries, the whole strawberries, sugar and lemon juice. Heat this on low until the sugar has completely dissolved. It is important for the sugar to completely dissolve. Once the sugar has dissolved, increase the heat to high and start a timer. You have to boil this jam for exactly 9 minutes, while stirring constantly. Let the jam stand for about 10 minutes so that whole strawberries distribute evenly (if you're not putting whole strawberries then skip this step and pour the jam straight away). 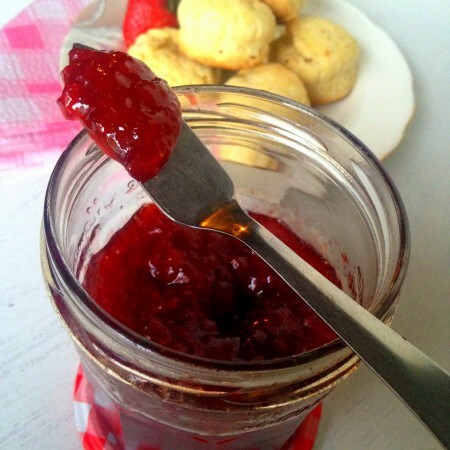 Using a funnel or a ladle, pour jam in hot dry jars and tightly secure the lid. 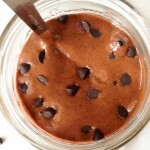 Keep the jar in the refrigerator and eat when cold with toasted bread or scones. *You will notice foam building up when you start boiling the jam but it should settle down after 4 minutes. It is completely normal. ** I make jams to be eaten straight away. This one is no exception. Keep this jam in the refrigerator at all times and it will stay for up to 3 months. I still have never made jam because I am nervous of the sterilizing part. Maybe one of these days I will! I like that this makes one jar. Perfect amount to get started. Hi ! I’m glad you liked the recipe. I agree, It really is the perfect amount and stays upto 3 months in the refrigerator. Sterilising isn’t that difficult. If you’re going to eat it right away, Boil the jar and lid in water for about 15 minutes and keep inverted on a kitchen towel until dry. Do not touch the insides of the jar. Pour the jam when the jar dries up but is still hot to touch. It’s really simple actually but the word “sterilising” makes it look complicated. All you have to do is boil the jar for 15 minutes. You can also wash it in a dishwasher (1 cycle) that’s probably the easiest way to sterilise. Canning if different though. I still haven’t learned how to do that, this is the reason I make jams to be consumed immediately. I hope I’ve eased your nervousness about sterilising a bit. I say give it a try, what’s the worst that can happen? Let me non how you get on 🙂 Radhika . Anytime! 🙂 Do write back if you have any more queries. I began making my own jam last summer when the supermarket had a glut. It was so easy! Strawberry is definitely my favourite but I also made some cherry jam when I found a tree laden with them on the golf course. If you keep the stones in while you make it you don’t need pectin. This jam looks so colorful and delicious! 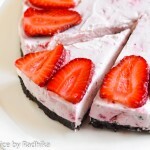 A great way to use up an overabundance of strawberries 😀 Thanks for sharing! Thank you so much Emily! I’m so so glad! It’s comments like these that make my day ! I’ll be sure to check yours real soon..
Can you start with frozen strawberries? Hi and welcome to my blog! I always start with fresh strawberries but I believe if you thaw frozen strawberries you should be able to get the same result. I can’t really comment on what the final jam would be like if you start with frozen strawberries without thawing. 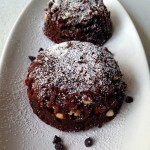 Please let me know if you try my recipe and share your views ! 🙂 Good luck ! I am trying this for the first time and I’m glad I found this recipe. Are you able to freeze the extra jars of jam? Hi Nicole! Thanks for visiting. I’ve never really tried freezing jam but I don’t see why that could be a problem. If you’ve frozen jam before you can try doing it with this one too. The jam stays good in the refrigerator for at least 3 months. Hope that helps! Can you make more than one batch at the same time? I know when you use pectin, you can only do one batch at a time. Also, would the timing be the same? 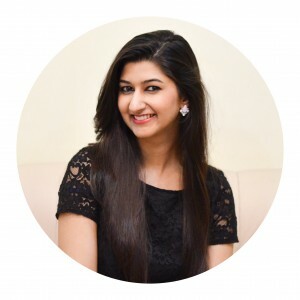 Hello radhika, i simply love your blog, its my go to blog. 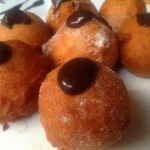 Thanks for sharing recipes which are so wasy to follow. 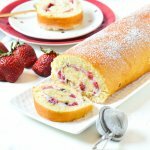 I recently tried this recipe, but my jam set way tooo hard. Please help me, what did i do wromg. Thank you. Hi Palak, cook your jam less. Reduce the timing and it won’t be as hard next time.